In September 2011, Uganda’s first apps-development weekend-long challenge was held in Kampala and birthed 11 ICT solutions in the areas of transport, gaming, education, health and marketing. Garage48 is an Estonian innovation vehicle where software designers are assigned to develop relevant and competitive application within 48 hours. In the months – and years – that followed, similar competitions started being organized, and the term Hackathon – as they’re called – became everyday English. The word “hackathon” is coined from the words “hack” and “marathon“, where “hack” is used in the sense of exploratory programming, not its alternate meaning as a reference to computer crime. Call it a marathon of hacking. The need to nurture innovation brought about initiatives like UCC’s Annual Communications Innovation Awards, Orange Community Innovation Awards (annual until 2014), the launch of incubation hubs – now more than four in Uganda alone – and a host of many local and international competitions. PC Tech reported that the solutions developed at the 2011 Garage48 would offer improved mobile phone usage. This April 2015 report will shows what people do with their phones as compared to the table below that’s part of a 2011 survey report by Research ICT Africa. So this month MTN announced a follow up: they’re working with Outbox and Garage48 to organize the MTN App Challenge 2015. “As a leading ICT brand in the market, it is MTN’s intent to champion the innovation agenda in Uganda,” said MTN’s Susan Kayemba in an interview last week. “This involves providing and supporting platforms that enable technology infrastructure development and advancement,” she added. In a country that still so heavily relies on Agriculture, ICT innovation has been mainly driven by large corporations and the other players in private sector. In December 2012 while launching the “Welcome to the New World” campaign, MTN said it envisioned a world where, due to digitization, there existed no more distinction between the first and third world[s]. “MTN believes a strong focus on digitisation will usher in a new world order for emerging markets. To this end, the company has a strong focus on relevancy of its digital services, as showcased through its revamped MTN Play portal…” read a statement released at the time to the press. The app challenge will help create solutions that, if successful, would continue MTN’s vision of a new, ICT-lead world. “We also believe that initiatives like MTN apps challenge greatly catalyse the ecosystem by getting more people not only interested in starting businesses that use mobile and Web, but [also] influencing policy to make it conducive for various stakeholders,” said Richard Zulu, whose use of the word “ecosystem” may have unintentionally echoed MTN’s vision of the new world. Richard Zulu, now co-founder and Program Manager at Outbox was also one of the organizers of Garage48 in back in 2011. Asked what industry challenge the competition is intended to address, he emphasized the prevelant lack of platforms that help showcase local solutions on the big-enough stage. Susan Kayemba offered more insight: “This the first App Challenge to be organized by MTN; it is symbolic of an exciting journey ahead in which MTN will recognize the best innovations in the market, developed locally for the Ugandan market. 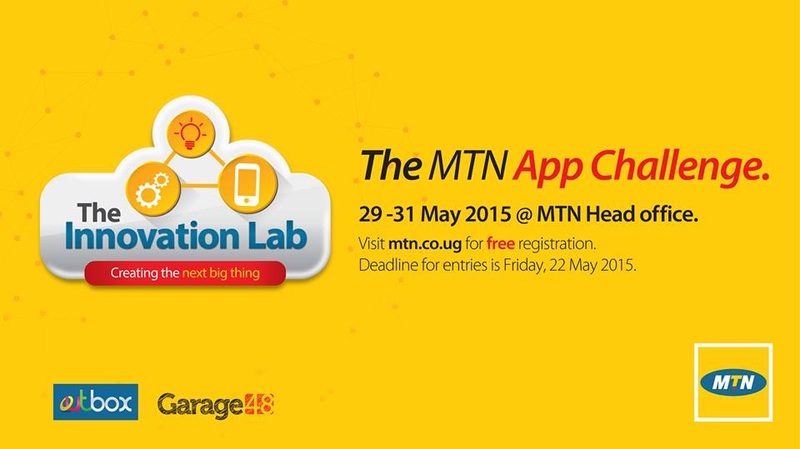 Registration for the MTN’s app challenge is now open through this link. It’s free.